Basking in the glow of the Steelers sixth Super Bowl title and the Penguins’ march to their first Stanley Cup since 1992, Pittsburgh natives were brimming with civic pride this spring. That glow dulled ever so slightly on May 15, when Steel City residents learned they were about to lose a local institution that some cherished as much as the city’s illustrious professional sports franchises. WAMO 106.7 FM, Pittsburgh’s only hip-hop radio station, had unexpectedly been sold to a Catholic organization. Founded in 1948 by a white Navy cadet who dreamed of providing a voice for all of the city’s races and ethnicities, WAMO was to be rededicated to religious programming by its new owners. But why, many asked, would a radio station that had so ably filled a niche in Pittsburgh for more than half a century suddenly decide to give up on itself and its listeners and cash out for a modest $8.9 million? The answer was just as mysterious: according to WAMO management, a cell phone-sized device known as the Portable People Meter (PPM) was mostly to blame for the station’s demise. Although many listeners had never heard of the PPM, radio executives around the country were already engaged in a pitched battle against a device they claim is slowly driving out of business radio stations that enjoy popularity with minorities. 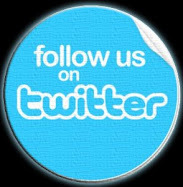 The PPM is used by media marketing research firm Arbitron, Inc., to compile listener data relied upon by advertisers wishing to reach the largest audience possible. Introduced earlier this decade, the PPM is given to select individuals by Arbitron so that the company can track and record the radio stations they listen to over an extended time period. The PPM achieves its purpose by collecting inaudible codes embedded in the audio of the programming to which the listener is exposed and relaying the data back to Arbitron. The use of PPMs replaced the previous method of collecting such data, which was based on the more unreliable written journals kept by selected listeners. 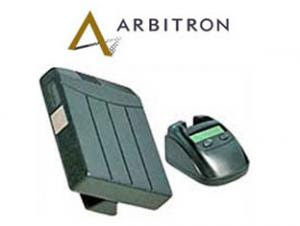 Although one would expect PPMs to produce more accurate marketing data than the paper journals, critics argue that Arbitron’s deployment of the devices has resulted in discrimination and dire financial consequences for radio stations with audiences comprised largely of minorities. Specifically, critics point to Arbitron’s heavy reliance on public telephone directories for solicitation of potential PPM carriers. Statistics show that Hispanics and African-Americans represent the largest number of cell phone-only households, which means that members of these households are more often excluded from participation in Arbitron’s studies than other ethnic groups. That wouldn’t seem to bode well for radio stations such as WAMO, whose listeners are less likely to show up in the Arbitron ratings used by advertisers to determine which radio stations will receive their lifeblood revenue. For its part, Arbitron claims that it has instituted a “Feet on the Street” campaign in an effort to attract more minority participants for its data collections. In response to the controversy, the Federal Communications Commission opened an official inquiry (read the full inquiry here) into Arbitron’s use of PPMs. Comments by interested parties (akin to administrative amicus briefs) were filed on July 1, and comments on the initial round of comments are due to the FCC today. As for WAMO (named after Pittsburgh’s three rivers, the Allegheny, Monongahela, and Ohio), the station could still be heard broadcasting hip hop to the masses on Thursday night despite its recent change in ownership. However, other American radio stations enjoyed by a large number of minority listeners could face a more unceremonious end without changes to Arbitron’s PPM regime. Hip-Hop and law took a new direction recently with some astute analysis on hip-hop and international relations theory. In the most recent Foreign Policy, readers will find an article by Marc Lynch, a professor of international relations at George Washington University. You can find the link here. In this article he applies international relations theories as diverse as "rogue nations," "hegemony," and "unipolarity" to the Jay-Z/The Game feud. In my experience with the literature on hip-hop, this is an exciting new direction for scholarship. Prof. Lynch's work isn't a complete tome on the subject, but does move hip-hop scholarship forward. He provides insightful commentary on the beef between Jay-Z and The Game, while perhaps providing an opening for those who might be interested in international relations to read up on hip-hop. Lynch's work isn't without fault or beyond inquiry, however. One wonders if the theory could be applied to other artists and if it should. One also wonders where message-oriented rappers fit into the puzzle. Is Common Canada? An important ally of mainstream hip-hop (the hegemonic US), but with a soulful introspective stance (perhaps akin to Canada's environmental and social welfare policies) that often positions him at odds with mainstream commercial success (US hegemonic discourse). Do countries that veer toward more socialistic or environmental policies equate with message-oriented artists? If we take Lynch's analysis and apply it to early hip-hop does it still hold true? You can listen to Marc Lynch's interview on NPR here. The theory might not be complete, but Lynch has the ball in his proverbial court. It will be interesting to see what develops from this new discussion. Perhaps the most consistent theme in hip hop discourse is its bold critique of the criminal justice system in the United States. From its roots in the South Bronx through today, hip hop artists and culture have denounced crime and punishment in the United States in a way that essentially defies the underlying penal philosophy that has been adopted and championed by U.S. legislators for decades. Since the inception of hip hop as a musical genre, hip hop artists have rhymed in a narrative format that starkly informs listeners and fans that the entire fundamental regime of law and order in the United States is suspect, illegitimate and profane. Another example of U.S. law and order as unequal, illegitimate and suspect is currently before the American public yet again. 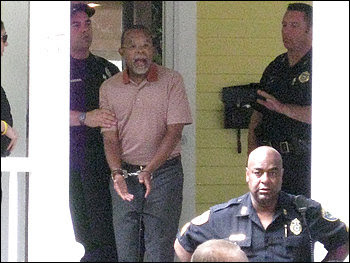 In another dreadful example of race and profiling in America, we learned yesterday that perhaps THE most respected African American public intellectual in the United States, Skip Gates, had been pulled from his own home and arrested. Returning home after filming a documentary in China, the renowned Harvard Professor found his front door jammed and forced his way into his house. Neighbors called police. When the police arrived, they questioned Gates, requested identification, and then, according to Gates, refused to acknowledge that his home address on his ID matched the address at the home they were tipped to respond. Once Gates became upset and repeatedly asked for the officer's name and badge number, calling the police line of questioning what it was, harassment, racial profiling and modern day bullying, the police arrested him for disorderly conduct. Police claim that Gates exhibited "loud and tumultuous behavior." According to Gates, the loud and tumultuous behavior was the repeated requests for names and badge numbers of police officers. First, if Professor Gates can be pulled from his home and arrested, based on a neighbor's call (how did the neighbor not know Gates? ), then that essentially proves what the hip hop nation has proclaimed all along -- no black or brown face is safe from racism, profiling or discrimination in the United States. 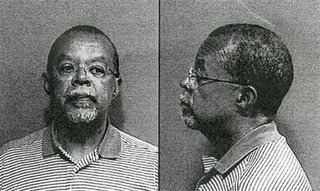 Henry Louis Gates was ARRESTED IN HIS OWN HOME for alleged disorderly conduct. Arrested for loud and tumultuous behavior?! Third, the Cambridge police have dropped charges against Gates, but have unequivocally claimed that race had nothing to do with the arrest. Of course, the police must claim that the arrest had nothing to do with race, but who are they kidding? A black man using his shoulder to free a jammed door in Harvard Square in Cambridge? A neighbor not recognizing one of the most important public intellectuals in the United States? The police refusing to leave as soon as Gates provided them his identification where the address on the ID matched the address at the home? The police refusing to leave once Gates started giving it to them for racially profiling him, but instead asking him out of his house so that they could arrest him? All of this has nothing to do with race? "I am appalled that any American could be treated as capriciously by an individual police officer. He should look into his soul and he should apologize to me," Gates said. "If so, I will be prepared to forgive him. I think that poor people in general and black people in general are vulnerable to the whims of rogue cops, and we all have to fight to protect the weakest among us. No matter how bad it was going to get, I knew that sooner or later I would get to a phone and one of my friends would be there to help. . . . I want to be a figure for prison reform. I think that criminal justice system is rotten." We have so much more work to do before we can claim that we have arrived at a post-racial America. We have yet another reality show that is not reflective of how most of us live. Do we have to continue to be inundated by the excess and carelessness of the celebrity lifestyle? We get a glimpse inside hip hop star T.I.’s mansion as his girlfriend, who is now rumored to be his wife, capitalizes on his incarceration. Tameka “Tiny” Cottle, a former member of the 90s hip hop soul female singing group Xscape, is talented in her own right, but for the most part was forgotten. With renewed media interest in all of the “T.I. goes to jail” hoopla, Tiny is back in the spotlight. Antonia “Toya” Carter, the ex-wife of Wayne Carter a.k.a. superstar rapper Lil’ Wayne, uncovers the unknown side of the musician’s family. As much as I despised that Black Entertainment Television was airing a program that would hurt rather than uplift the community it was created to serve, I decided to watch the sneak preview out of pure curiosity. I was apprehensive at first that the Tiny and Toya show would only enforce the stereotypes that Black women often fall victim to in the media, especially the baby mama, gold digger persona. I discovered that while the show had its ignorant moments, the stars surprisingly shared their personal stories with the audience – including the good and the bad. It showed that celebrities and their families are not invincible, nor immune to everyday problems. It made clear that money cannot buy happiness. As Toya drove a Honda through the streets of New Orleans searching for her mother, I was pleased that we were viewing her conservative and practical side in this economic recession. The display of raw emotion was also refreshing. In the first episode, we witness Tiny coming to terms with her father who is suffering from Alzheimer’s disease, and Toya who is battling with her drug addicted mother to get off the streets. The story begins with Tiny who recounts losing the father of her first child to a ten year prison sentence while she was left all alone to raise their daughter. We also find out that Tiny was a sugar mama to T.I. before he was discovered. To contrary belief, Tiny was initially the one with the money in their relationship due to her songwriting and performance royalties. Then Toya goes back into her childhood to explain how and why she became a pregnant teen with Lil’ Wayne’s child at the age of 14. These young ladies displayed courage and opened their hearts to let us in. The topics are relevant – real love, real life. Both Tiny and Toya appeared to honestly divulge the details of their failed relationships right before our very eyes while uncovering their human side. We have yet to see what is to come in subsequent episodes, but they are off to a good start. Even if you do not agree with their approach, Tiny and Toya are explosive in that they allow the cameras to film their joy and pain. Let us hope for the best, as the haters are already on the horizon. Microphone check 1-2, 1-2…is this thing on? 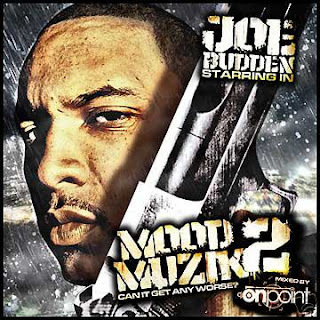 Album: Mood Muzik 2: Can It get Any Worse? Will life carry out the same? If I died tomorrow, I'm fine, I been blessed, Yes! But he's happy and what more could he ask for? News recently broke that Jay-Z, who is embroiled in legal troubles stemming from alleged New York labor law violations, is in need of legal representation. The law firm representing him in his wage dispute with his 40/40 club employees has asked to be withdrawn from the case. It's seldom that an attorney asks to be withdrawn and when it happens it's usually because there's a serious issue at play. Too often attorneys, agents, and consultants have to track down the money they are rightfully owed. It's not simply attorneys waiting for court appointed work fees. It's not only solo practitioners representing everyone who comes through the door. Even large firms with well paid clients (Jay-Z makes about 80 million dollars a year) are sometimes in the weeds when it comes to collecting on bills. Attorney Michael DiMattia wrote the letter asking to withdraw to Manhattan Federal Court Judge Loretta Preska. No decision has been made at this time. Will Jay-Z pay? We'll have to wait and see. Today's lesson: Pay your professional. Icon. Legend. Visionary. All of these words describe this generation’s number one show stopper – none other than Michael Jackson. As the world mourns his death and the courts sift through his estate, we are left to savor all that MJ left behind. In witnessing the marathon of tributes to his songs on the radio and his videos on MTV, we finally realize the true impact that Michael had across decades. His half-century of life was filled with intrigue and turmoil, but he never left us hanging. There was always a hot MJ tune to shake my body down to the ground to. We are all indebted to Michael for his musical genius. As a friend stated, he gave up his childhood so that we could be entertained throughout ours. He was a true entertainer as he dazzled us with his performances, leaving us in awe. The songs that comprise Michael Jackson’s catalogue of music are for the most part all classics. With his portfolio of winners, questions are surfacing as to why we no longer have artists who are true performers in every sense of the word. Who is our next Michael Jackson? How will anyone ever match the star power of the number one selling artist of all time? Will we ever have another album to play all the way from the first song to the last? Can any music video in this day and age ever match the creative cinematography of Thriller? All of these questions have us asking, where is the real music? The unknown leaves us suffering from our loss. As I reminisce about the moonwalk and the white glove, I’m holding back the tears. He was magical, our very own Peter Pan. It is undeniable that Michael changed the world, but he had a particularly strong impact on hip hop artists, music, and culture. From the “ABC” Jackson 5 sample that Naughty by Nature used for “You Down Wit OPP” to the “Human Nature” sample used by Nas in “It Aint Hard to Tell,” Michael Jackson had a direct and indirect influence on hip hop. Michael was the first to bring edgy, street-inspired dance moves to MTV as the only Black artist to be in heavy rotation during the early eighties on the network. Like hip hop music and culture, Michael broke through racial and economic barriers as people from all walks of life listened to and enjoyed his music. Michael was international, just like hip hop. At his concerts, there were faces of all hues, much like a Jay-Z concert in middle America. Like a hip hop artist at heart, Michael Jackson was not afraid to be vocal about oppression and the need for equality in tunes such as “Black or White” and “Man in the Mirror.” Michael was about peace and love. He was compassionate and giving. 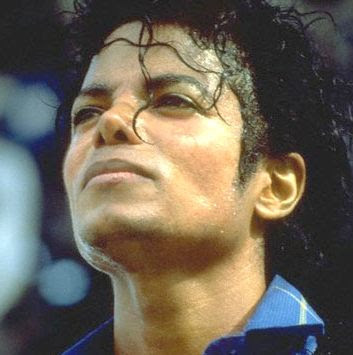 Michael made a “better place for you and for me” along with the entire human race while toppling racial stereotypes. We could all come together to enjoy great music – every race and ethnicity. Michael Jackson was a visionary. He was before his time as he seamlessly reinvented himself with every album. We were glued to the television for his video premiers as he stayed relevant throughout time. He was always fresh and ground-breaking. He was a leader, not a follower. In other words, he was and still is a trend setter. His originality was priceless and he always gave back. A true humanitarian, he never forgot where he came from. Michael Jackson is hip hop. Microphone check 1-2, 1-2…is this thing on?